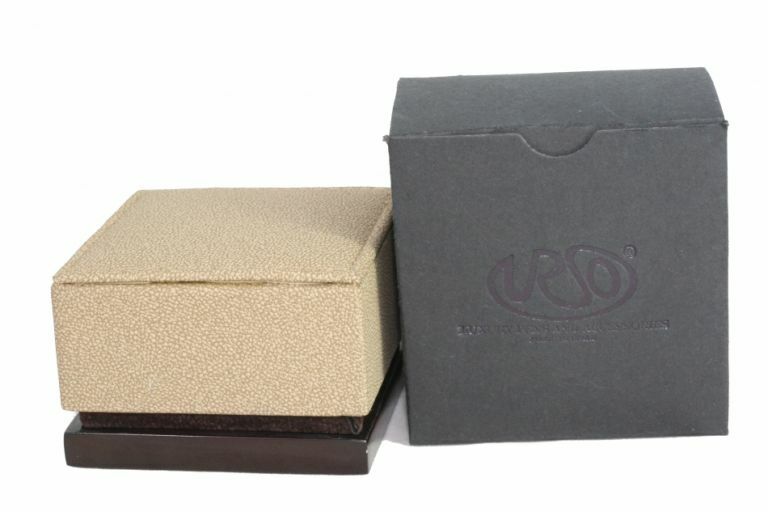 Cufflinks : sterling silver 925 entirely engraved handmade in Italy. Saint Christopher is a widely popular saint, revered as one of the Fourteen Holy Helpers. He holds patronage of all things related to travel and travelers, commonly invoked for protection against perils from water, tempests, and plagues. Carrying a medallion of sorts with Saint Christopher's name and image is common practice amongst travelers to show devotion and as a request for his blessing of a safe journey. 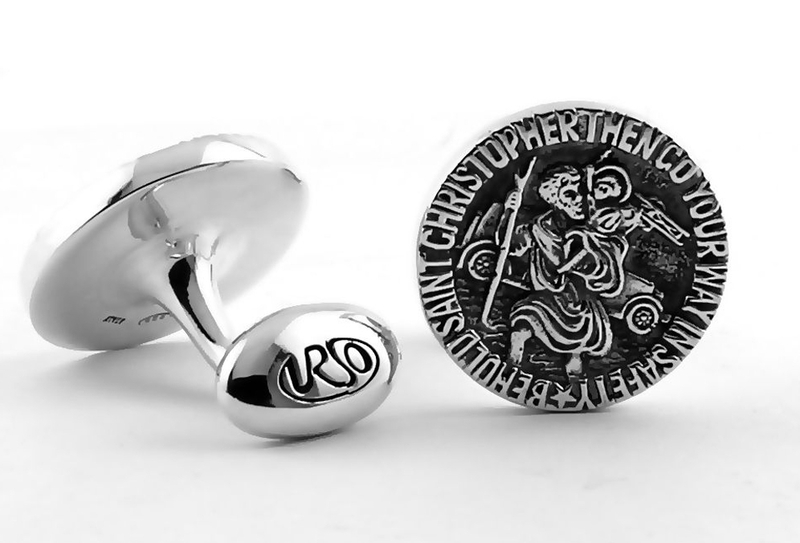 In the center of each cufflink is a detailed engraving of Saint Christopher's image bearing a child on his shoulders, crossing turbulent waters. The text around reads "Behold Saint Christopher Then Go Your Way In Safety".